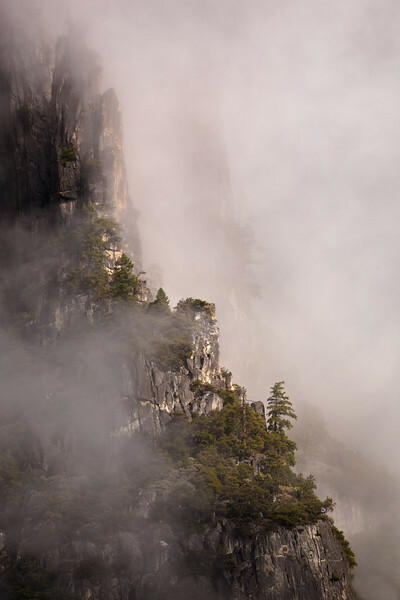 "Spires in the Mist" Low clouds, fog, mist and a clearing storm in Yosemite Valley is the PERFECT time to go out and shoot! Our last day in Yosemite gave conditions that changed every minute. I liked the ways the trees on these cliffs were popping out of the clouds looking like they are on the edge of the world.